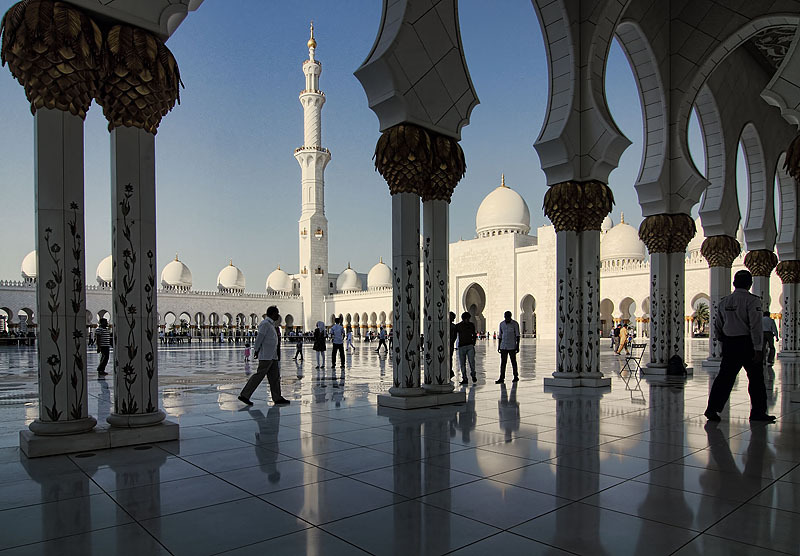 For an absolute treat in architecture and photography, make a trip down to Abu Dhabi in the United Arab Emirates, and spend the day visiting the Sheikh Zayed Mosque. This is arguably one of the most beautiful, and exquisite, religious structures of recent times. The best time to go would be between October and April as the weather would be good. 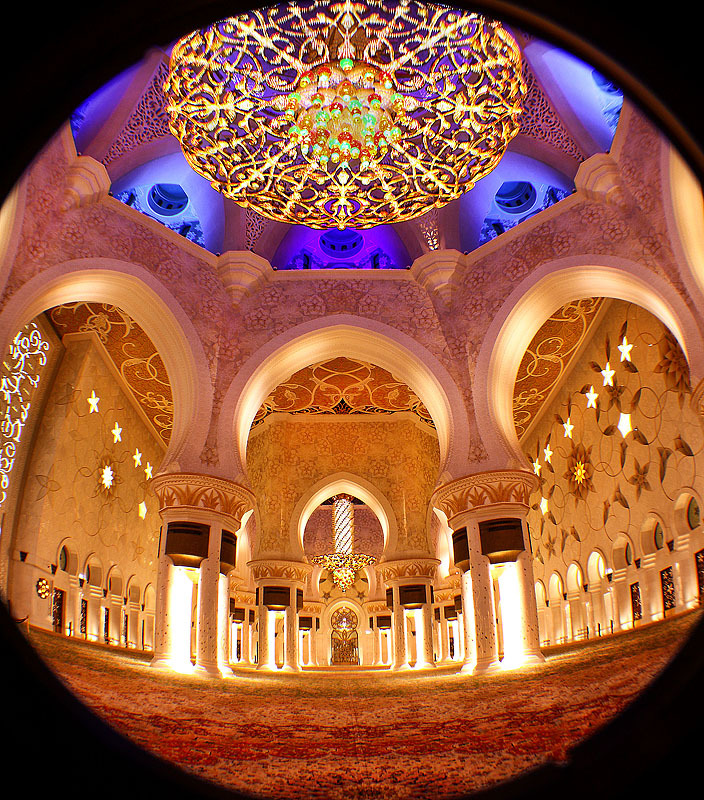 You need to take this into consideration, because you can do as much photography inside the mosque as you could outside. Photographing this structure is a challenge, from the sheer magnitude, to the grandeur, and the crowds that come there to visit. The columns create a mesmerizing effect, and if you get a few people in the frame, it becomes all the more interesting. 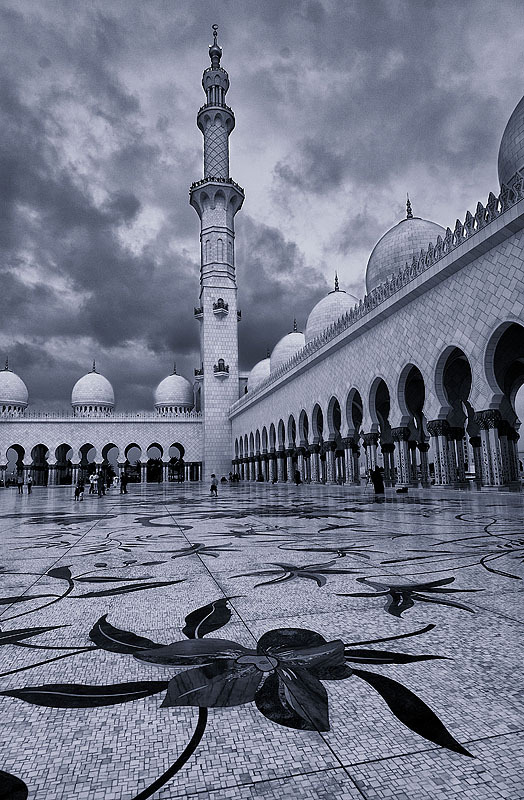 If you are really lucky, and you have some clouds in the sky, then the entire appearance of the courtyard changes, it helps to accentuate the tall minarets and the beautiful floral designs on the floor. Getting down as low as possible and using a wide angle lens further emphasizes this. The domes are beautiful. They keep having different effects on the viewer, depending on the time of day that you look at them. At night, the lighting on the domes is set to create the phases of the moon. 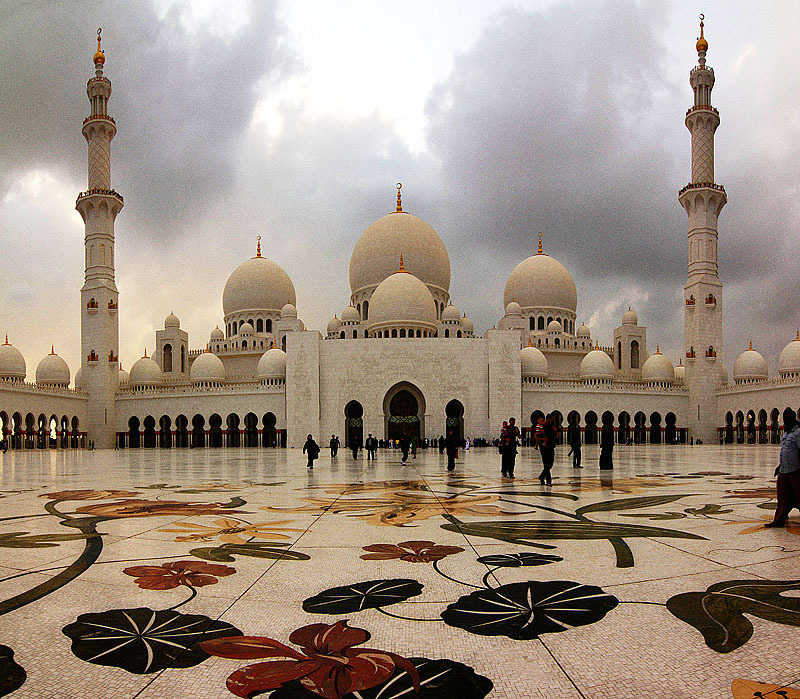 You must stay till after dark to get an entirely different view of this mosque. Once inside the mosque, its like stepping into another world. It takes a few minutes for you to fully comprehend the grandeur and magnificence that the interior exhibits. 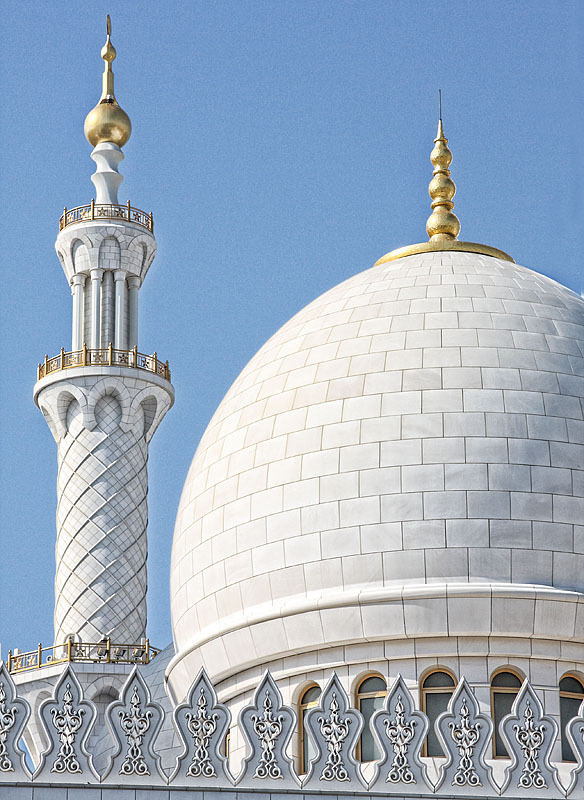 There is so much to see, so much to take in…you can easily spend a whole day inside the mosque. Before you leave, and while there is still light, take some time to travel to spots around the mosque,and try and get the entire mosque in a single frame. It is a picture that you will always treasure as structures like this are rare jewels in the world of architecture. We hope you do make the visit, and have a lovely time making your pictures. We have been there a few times, but still get amazed every time we visit. This entry was posted in Architecture, Tradition & Culture, Travel and Leisure and tagged abu dhabi, Architecture, art, buildings, courtyard, domes, minarets, sheikh zayed mosque, United Arab Emirates, www.szgmc.ae on August 13, 2014 by pkphotography.